We are SO thrilled to bring you such an amazing experience, The Canna-Cure! Bellacures, here in Southern California, was looking to elevate their mani & pedi's to the next relaxed level - thus the Canna-Cure was born! THE ULTIMATE RELAXATION: CBD Mani & Pedi! 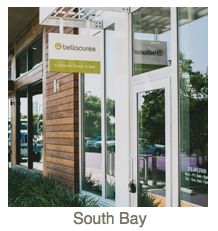 Stop in to anyone of Bellcures California salons during the month of November and get get ready for fun relaxation. Let the daily worries Melt away!